The second webcomic-related book I got for Christmas is the Hubris Great Stanky Creek Outdoorfest, by Greg Cravens (2016). Greg runs Hubris both on his site, and GoComics, as well as The Buckets. If you follow Hubris, then you know the story and the quality of the artwork (which is great of course) (Greg did add some new filler material specifically for this book to help entice the regular online readers). 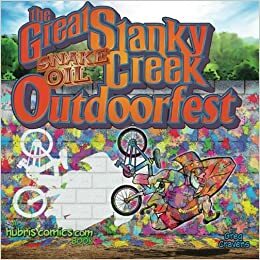 The Great Stanky follows Hubris as he and his Outdoor Galore store host the first annual Stanky Creek Fest, an outdoor competition that includes BMX biking, skateboarding, flaming hacky sack, and duct tape kayaking. Guest one-off judges include Jamie Hyneman, Steven Tyler and Tonya Harding. 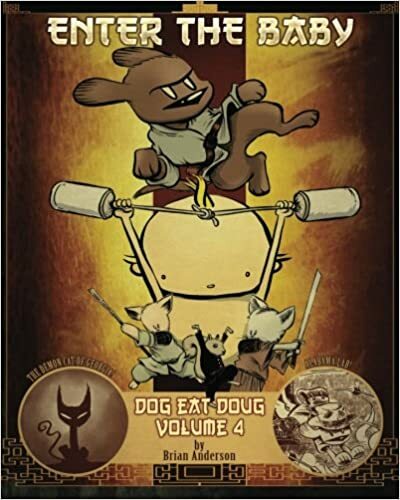 Characters include Hubris’ half-brother Paste, his friend Kelly, Bob, and Durnell Hawk (Tony Hawk’s drunk cousin). We also get an early appearance of young punk Nikki, who later becomes a regular at the store. In short, The Great Stanky is a great read. It’s funny, it’s got great art, and it’s got copyright-free (because of parody) images of people you may have even seen on TV! Recommended. 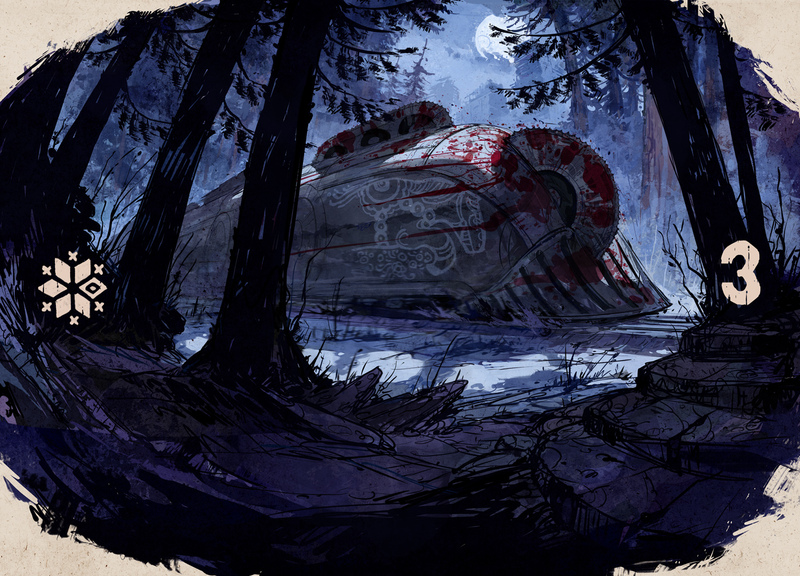 (Images from the SSSS site, used for review purposes only. While I’ve kind of stopped posting anything new here, I am still looking for webcomics that I like to read. It’s getting a little harder, but once in a while it does happen. 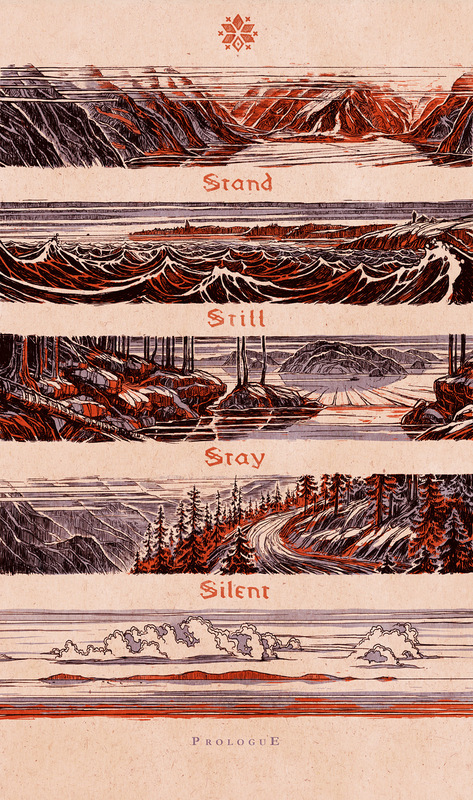 Case in point, Minna Sundberg’s Stand Still, Stay Silent. It started in November, 2013, and won the 2015 Reuben for Best Online Comic – Long Form. Set partly in Iceland, and largely in the Nordic countries (Finland, Norway, Sweden and Denmark), SSSS tells the story of an unlikely group of explorers enlisted to delve deep into the “Silent world” of northern Europe 90 years after the fall of the (at the time) “modern world.” The prologue starts out a bit slow, with a number of couples, friends and families escaping the cities to find refuge from “the rash illness.” Victims of the rash eventually die, and a cure is never found. But, over the following decades, certain individuals are born with an immunity to the disease. These people can freely leave the safe enclaves and explore the ruins of the rest of the world; those without this immunity must wear breathers and undergo a strict washdown procedure when they return indoors. 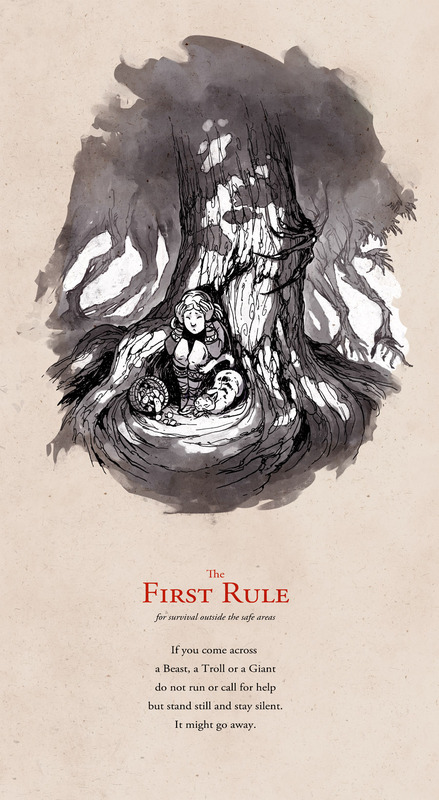 After the prologue, the story jumps to the “present,” where four greedy cowards, Taru, husband and wife Torbjorn and Siv, and retired General Torbun, have presented a proposal to the Icelandic government to send a group of explorers deep into the Silent World to see what they can recover. The initial concept is to use the money to pay 8 or so people to do the actual dirty work. 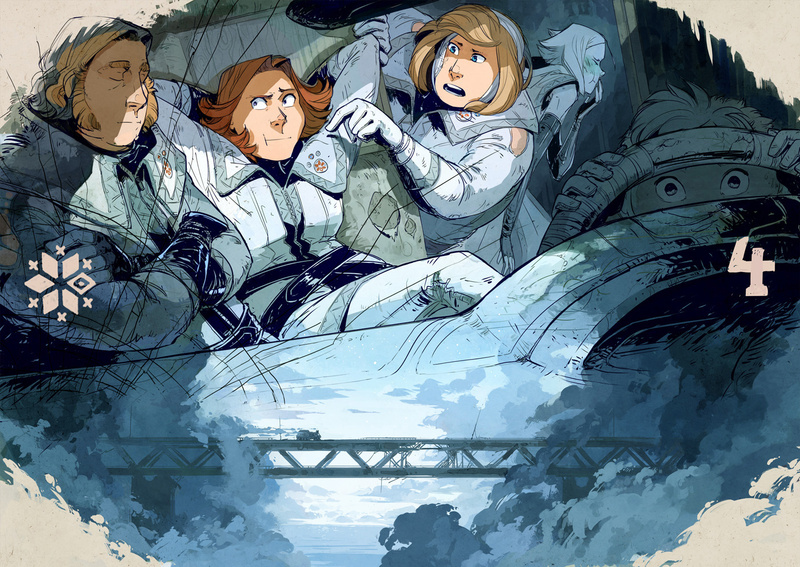 The government agency supplying the money only ok’d the project with the expectation that Taru and company were going to be in the party themselves, and only signed off on a fraction of the cash needed. The result is that the four end up having to trick relatives into going on a suicide mission in a malfunctioning ATV tread van, with little preparation and no training. The party consists of Tuuri (a naive non-immune girl that wants to see the world, Finnish) and her cousin, Lalli (a scout and mage, taking the place of Tuuri’s brother, Onni). Onni is a strong mage, but also a coward. All three are related to Taru. Emil (an insufferably arrogant former student and cleanser (uses fire to kill trolls and monsters), Swedish. Torbjorn’s nephew.) Sigrun (a female hunter and military Captain, Danish) and Mikkel (cook, farmer and healer, Danish), both suckered in by retired general Torbun. The goal is to go deeper into the forbidden lands than anyone else has in order to find libraries that have books, which can be sold on the black market by Torbjorn for massive profits. None of the suckers (I mean, heroes) know that at the outset. Over time, they’re joined by Reynir (20), an Icelander non-immune sheepherder who ran away from his family of adventurers to have an adventure of his own and accidentally stowed away in a crate of food redirected to our heroes. And, by a kitten that gets rescued from a beast, and becomes the team’s mascot (which is good, because cats can detect trolls). The world has changed in 90 years, with the rash turning humans into trolls, and animals into beasts. A few of the clean humans have magical abilities, either as summoners or capable of blessing others from the dangers of the Silent World. Onni and Lalli are mages and can contact each other in the dream world. Reynir is a latent mage who can enter other mages’ dream worlds. In general, though, most combat is against rash-created monster, with rifles, explosives, and a lot of other old-world tech. The story unfolds in a slow-but-steady pace, that is comedic, horrific and sad by turns. The artwork starts out good, and gets much, much better as Minna improves. The characters are all unique, and pretty much speak languages that the others can’t understand well, or at all. This is played for laughs, but can also be used to cause confusion and conflict between the team members. The combat sequences are exciting and well-drawn. Overall, I like SSSS a lot, although it could have used some editing. Volume 1 ran 973 pages (not counting the double-page spreads). Volume 2 started in October, 2018, and is only up to 34 or so pages. Minna is going on a 2-3 week break, and the next chapter won’t start until some time in January, so if you plan on binge-reading the series, be prepared for delays when you finally catch up with everyone else. Yeah, I like Stand Still, Stay Silent. The adults are frustratingly self-absorbed and obtuse, but the main heroes are pretty plucky and determined. 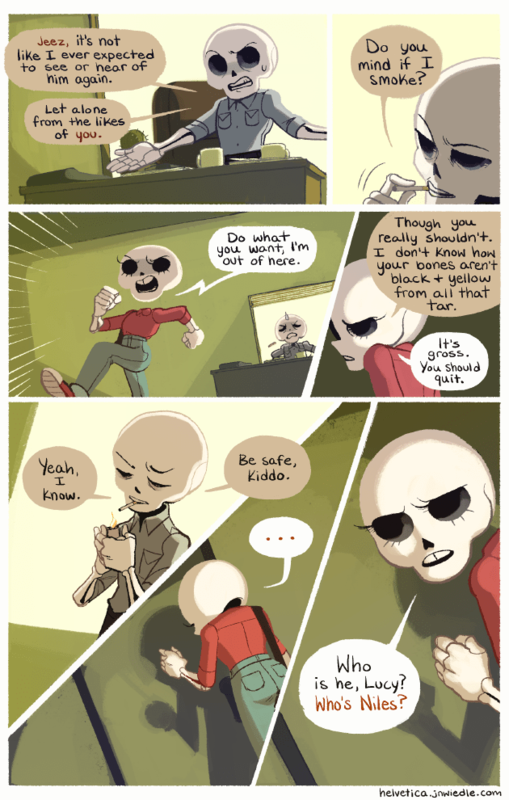 Be warned, though, there are no real feel-good endings here, and not everyone survives the first adventure unscathed. 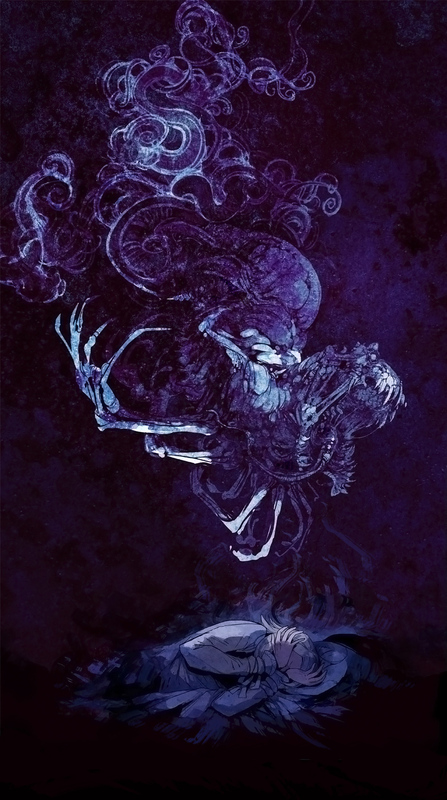 I do highly recommend SSSS to anyone that likes tech-based fantasy adventure. Dora Mitchell, of The Curse of Crooked Mile, is very nice to her patreon supporters. 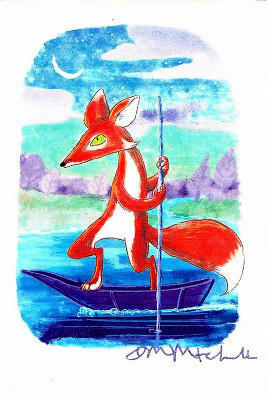 The fox and the boat. I’ve checked out Helvetica a few times over the last couple years, and I finally decided to read through the full archives to find out what the story is. It’s written and drawn by j.n.wiedle, who is also currently working as the colorist on Barbarous (reviewed here a couple months ago). 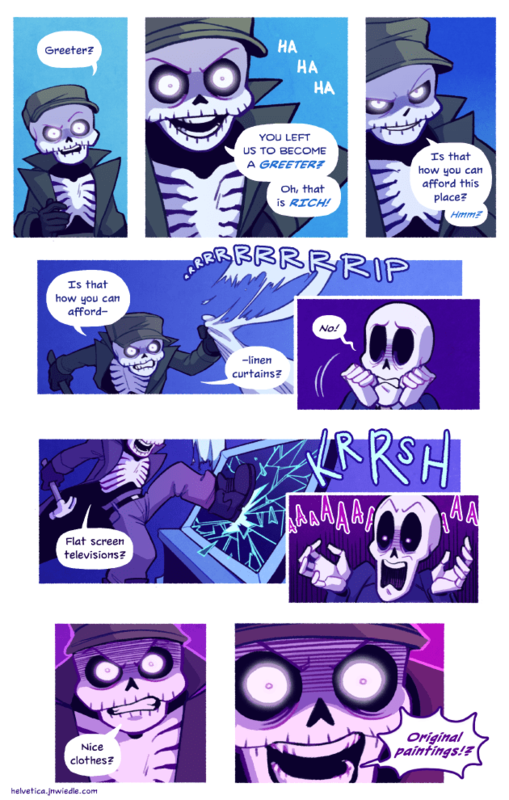 The comic is very much off-and-on, having started in 2011, and only reaching 96 pages. The last update was in Dec., 2017, and there’s little evidence of a new page coming out in the near future. But, if you like Barbarous, Helvetica is worth at least a visit. Helvetica as a character is a whiny little brat, but the rest of the cast is more interesting, and the story concept still has a lot of promise, while the character designs and background artwork are good. 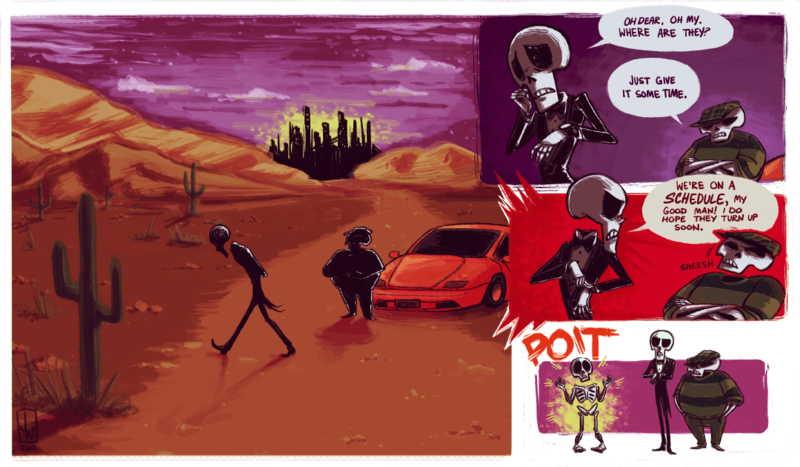 This webcomic is worth putting on your radar. And, who knows, if wiedle gets enough patreons, she may afford to take it up again. Recommended if pink doesn’t bother you too much.